In a major expansion, the Skeptoid science podcast, in English since 2006, is now available in Mandarin on the Chinese iTunes Store and at http://skeptoid.com.cn. This effectively triples the potential listener base, making the award winning show available to more listeners worldwide than any other podcast in any genre. “What is Stitcher?” I asked, in reply to the “Click here to set up your account” email. I’d gotten half a dozen complaints, via email and Twitter, from Skeptoid listeners who found that Skeptoid had disappeared from their Stitcher application. I’d had no idea what Stitcher was. My bad, it so happened. Stitcher is a free app that streams your favorite podcasts and other content, plus recommended similar content. And it turns out that, without my even knowing about it, a lot of my listeners already used it and loved it. It’s no flash in the pan; in fact, your next BMW, Chevy, or GM auto will have a Stitcher button to stream your favorite shows to your car stereo wherever you go. 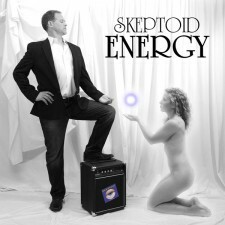 Skeptics Guide to the Universe – An independent show run by 5 people. The past week or so has seen yet another wave of terrible, terrible reporting in the science media about the Amelia Earhart non-story. We’ve had it a lot this year, ever since TIGHAR — the organization of crank Earhart researcher Ric Gillespie — obtained financing to repeat the Earhart treasure hunt he’s done so many times before for a Discovery Communications TV crew. Gillespie’s completely implausible belief is that Amelia Earhart and navigator Fred Noonan did not crash where history tells us they did in 1937 (off of Howland island), but instead went to Nikumaroro island 650km away where they lived as castaways. About a year and a half ago, I learned most of what I know about Morgellons Disease while spending a week researching a Skeptoid episode on the subject. It’s a bizarre condition in which sufferers believe that their skin is extruding strange fibers; sometimes colored, sometimes synthetic, always strange. Doctors and psychiatrists have compared it to delusional parasitosis, where imagined parasites are crawling in and on the skin. As many of you may know, one of my projects is to adapt some of the more popular Skeptoid podcast episodes for the world’s largest single audience venue: YouTube. Recently I did a Skeptoid episode on Scientology, and followed it up with a post here on SkepticBlog to further explain my position. And this was, very much, a position piece… whereas normally with Skeptoid, I compare science to pseudoscience; but as there’s really no science behind Scientology, it was more “Brian’s personal opinion of Scientology”. To sum up the criticism, it was overwhelmingly that I was too soft on it. My dream is to start a church and become fabulously wealthy, with the world’s happiest customers. These customers are people who are already believers, whose minds are not about to be changed by a few skeptics. They are going to buy these services: and if they don’t buy them from me, they’re going to buy them from the psychic next door. In other words, “Hey it’s OK to start a church and take people’s money, because otherwise they’re just going to give it to someone else.” It sounds like it’s not too different from something L. Ron Hubbard might have said. And here’s the kicker: That Skeptoid episode was about ethics. This week's Skeptoid episode was on Scientology, the notorious “religion” created in the 1950s by sci-fi author L. Ron Hubbard. After I was finished researching and writing it, I had second thoughts, and decided for a few days that I would shelve it and not produce it, and said so on Twitter. Predictably, lots of people expressed their desire for me to reverse that decision, or that I had decided I was too afraid of Scientology suing me. I once did a Skeptoid episode about The Lucifer Project, a conspiracy theory prediction that evil government forces are planning to detonate Saturn (sometimes Jupiter) into a small sun. The trigger for this cataclysm is presumed to be a deep space probe, like Cassini, powered by an RTG (radioisotope thermal generator). This concept was popularized by Arthur C. Clarke in his 2001: A Space Odyssey series of books. An RTG could never possibly create an atomic explosion. An atomic explosion could never possibly convert a gas giant into a sun. A planet of the mass or composition of any of ours could never possibly achieve fusion.